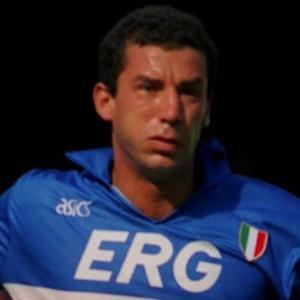 Former soccer player and manager who played on the Italian national team from 1985 to 1992. He won the UEFA Super Cup and Football League Cup among others as the manager of Chelsea FC. He began his youth career with Pizzighettone in 1973 before joining Cremonese in 1978. As a player he became the first footballer in European history to earn first and second place medals in the three most high-profile European tournaments. He has children with Cathryn White-Cooper. He managed Gianfranco Zola at Chelsea.